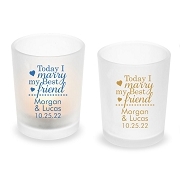 Show your guests how the light of your life makes you feel with these personalized round travel candles with custom metallic foil labels. Candle tins offer something more than just a gift for your guests, they offer memories. 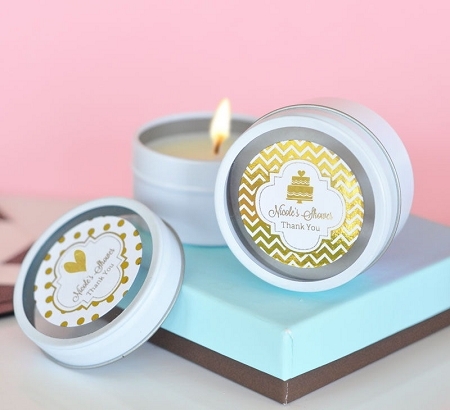 These candles will brighten up everyone's day with our shining Metallic Foil wedding labels. Our custom labels allow you to make your gifts meaningful and unforgettable to your guests as they become lifelong mementos. 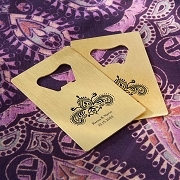 Our labels offer an array of fun wedding designs, and even a spot for your names, date, or message. 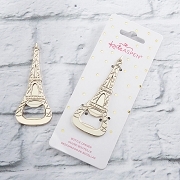 Now you can have the perfect favors to complement your big day! Tins arrive separate from labels. Some assembly required by means of affixing labels to tins.